Taking a trip to wine country is one of the most fantastic things one can do in their lifetime. I have personally been to over 300 wineries all over the world. It's fascinating to see how each operation runs whether it be a large industrial type winery or a tiny po-dunk family run garage project. I love the equipment, I love the smells, I love the people, and I love the wines that are not available outside the tasting room. In fact, for that reason alone (finding wine gems to buy) it's worth traveling to wine country. Wine collectors also find it incredibly valuable to travel to wine country to purchase their wines directly from the vintner. It allows them to have receipt directly from the winery which gives them the perfect provenance for resell. It also allows the wine collector to find special single vineyard lots and other special cuvee's that are not typically available to the public via retail. They also many times offer library selections which are older vintages that they have cellared in perfect condition. When you travel to wine country it's vital to have a plan about how you get your bottles back home with you. Some wineries will offer shipping methods, however that can be quite costly and the average of your wine price wouldn't make it worth it to purchase direct. Plus, shipping to your house may be an issue for the summer months if you live in an area that gets warmer than 80 degrees. Fedex and UPS trucks are not air conditioned and lots of times I've had wine or wine samples sent to me that have been delivered at my door when I wasn't home. That my friends is a recipe for disaster a.k.a. cooked wine. The best option for your wine purchases in wine country would be to bring them home with you when you travel and what that will require is a proper wine luggage. 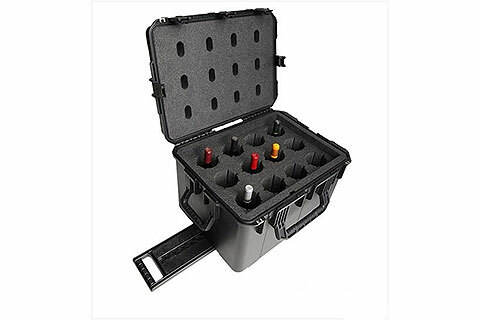 Wine luggage is worth it anyways because when you go on other trips you can bring your own wine and not have to worry about finding a shop while on vacation. You can even use it for other things like craft beer, olive oil, or other fragile items.